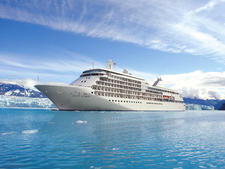 Silver Moon is a sister to Silver Muse, but it will see some significant changes in terms of layout. The color scheme and basic ship layout will remain the same, but the positioning of a number of restaurants and bars will be moved, due to the launch of the S.A.L.T. 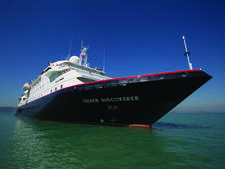 (Sea And Land Taste) culinary enrichment program, as well as feedback from passengers on Muse. 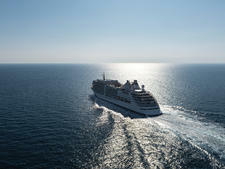 In addition, the Spa, which feedback suggests is too small for a ship this size, will be expanded. Silver moon launches in August 2020. 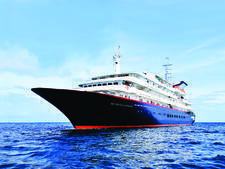 All cabins will be suites with balconies and butler service. Entry-level balcony suites measure 387 square feet (each including a 64-square-foot private balcony); Silver, Royal and Grand Suites all will offer one- or two-bedroom configurations. Owner's Suites, the highest category, measure 947 to 1,055 square feet apiece, each with a 129-square-foot veranda, and they feature bedrooms separate from living and dining areas. 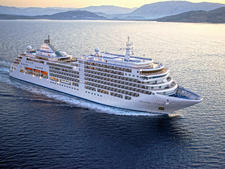 The biggest changes when compared to Muse will be in restaurants, both in terms of size and their location on the ship. The ship will have eight restaurants: Atlantide (European cuisine and seafood), Kaiseki (Japanese; sushi by day, Hibachi by night), S.A.L.T. Restaurant (regional cuisine), La Dame by Relais & Chateaux (French), Silver Note (tapas in a jazz club setting), La Terrazza (buffet by day, Italian by night), The Grill/Hot Rocks (alfresco grilled meat and seafood) and Spaccanapoli (pizza). Most are included in the fare; the exceptions are La Dame and Kaiseki. In addition, there will be a S.A.L.T. 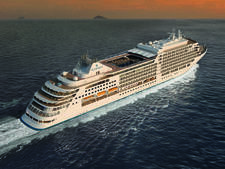 Lab (where La Dame is currently found on Silver Muse), where passengers will be able to listen to food experts, watch chefs and try their hand at cooking regional cuisine. The Arts Cafe will serve snacks like morning pastries and afternoon tea; like its sister venue on Muse, it will have cheerful art, comfortable furnishings for hanging out and a collection of books cultivated by London bookshop Heywood Hill. In the evenings, it will turn into Silver Note. The Panorama Lounge at the aft of Deck 9 is a large space that will feature a circular bar, DJ booth, dance floor and plenty of seating both inside and outside. The S.A.L.T. Bar will be located at the entrance to Atlantide and the S.A.L.T. Kitchen, serving regional spirits, wines and beers. 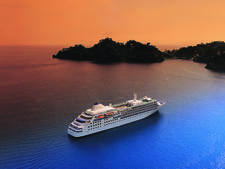 Other spaces onboard include the Zagara Spa, which offers a complementary thermal suite, complete with a thalassotherapy pool and private sun deck. Tor's Observation Library on Deck 10 will be a multipurpose space: part lounge, library, card room, coffee station, bar and cheese buffet. Like on Muse, there will be a pool on Deck 10 large enough to do laps. It will have two hot tubs located either side at one end. There will be a third whirlpool located at the back of the ship on Deck 10. 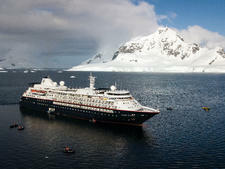 Unlike on sister ship Muse, there will be no dedicated kids club. However, if more than 12 kids are onboard, a counselor will be brought onboard to organize youth activities. 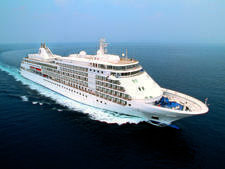 Silver Moon will spend summers in the Mediterranean and winters in the Caribbean. 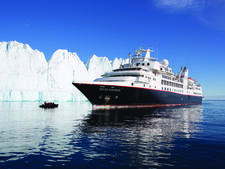 Expedition cruising with a posh twist from butler service to gourmet cuisine and five-star service; daily included excursions feature hikes, Zodiac sightseeing and museum visits.